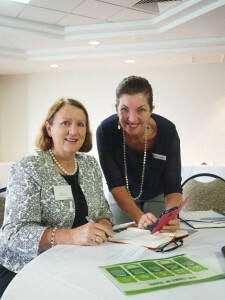 DIGITAL innovation was on the agenda of a series of workshops in Toowoomba to help tourism operators develop their social media presence and appeal to a wider audience. The workshops, presented by Southern Queensland Country and funded by the Queensland Tourism Industry Council, gave operators the tools to keep their online content fresh, relevant and searchable. SQCT CEO Mary-Clare Power said tourism operators needed a strong understanding of social media to ensure it was cutting into its desired markets. “This digital ready workshop is just one of the practical ways we are helping our tourism operators equip themselves with the skills to drive demand and grow their businesses which, of course, has a flow-on effect across our regional economy,” she said. The workshops were delivered by Tourism Tribe CEO and digital expert Liz Ward, who Ms Power said would teach operators how technology was being used by tourists to book, review and recommend travel choices. Another set of workshops will be held in May. For more information or to register for the events, call 4632 1988.